Masai Mara National Reserve is the most popular tourism destinations in Kenya. The reserve is located in the Great Rift Valley in primarily open grassland.Wildlife tends to be most concentrated on the reserve’s western escarpment.The Masai Mara is regarded as the jewel of Kenya’s wildlife viewing areas. The annual wildebeest’s migration alone involves over 1.5 million animals arriving in July and departing in November.There have been some 95 species of mammals, amphibians and reptiles and over 400 birds species recorded on the reserve.Nowhere in Africa is wildlife more abundant, and it is for this reason a visitor hardly misses to see the big five (buffalo, elephant, leopard, lion, and rhino. 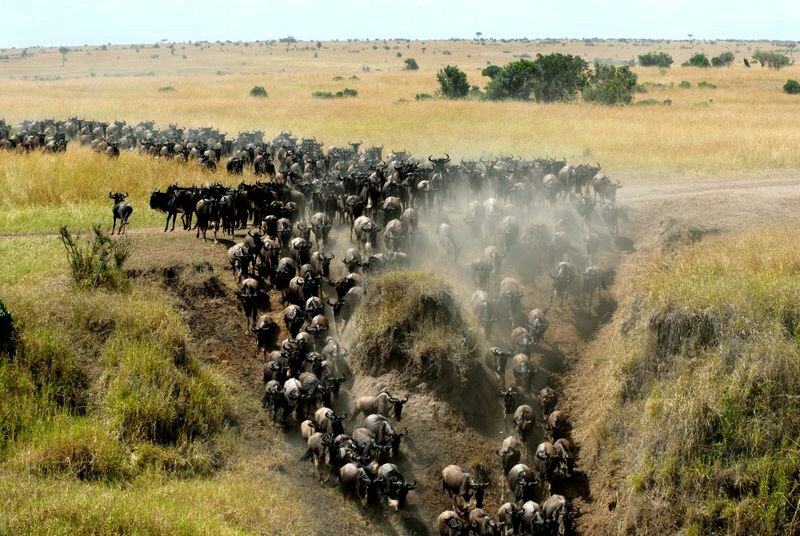 The phenomenal wildbeeste migration which is a spectacular event only seen in Maasai mara is the 7th wonder of the world. Best time to visit – Peak season is between July and October, during the migration. Early November and February can also offer excellent game viewing. DEPARTURE TIME Please arrive by 8:00 AM for a prompt departure at 8:30 AM. RETURN TIME Approximately 16:00 PM. WEAR Comfortable athletic clothing, Warm clothes for the night, hat, jacket. 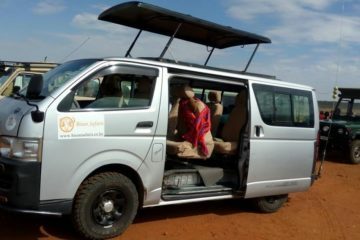 park fees and game drives and flying doctors cover Transportation in shared safari minivan vehicle,water while on safari. 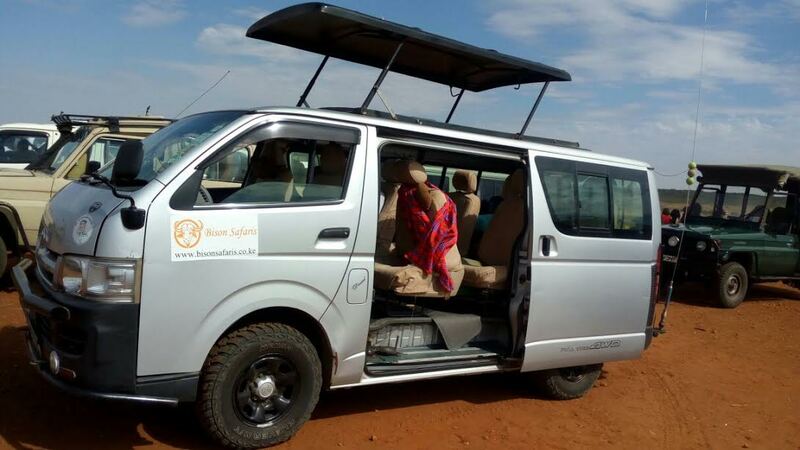 You will be picked up at your Nairobi Hotel and commence drive to Maasai Mara via the great rift valley view point where you will have a breathtaking view of the floor of the rift valley. Arrive for hot lunch at Narok. Proceed with your journey to Masai Mara. Upon arrival and check in depart for late afternoon game viewing drive in Mara Reserve. Later in the evening return to the camp for dinner and overnight at Lenchada Tourist Camp or Rhino Tourist Camp. Masai Mara Reserve is the most popular tourism destination in Kenya. Located in the Great Rift Valley in primarily open grassland. Wildlife is most concentrated on the reserve’s western escarpment. 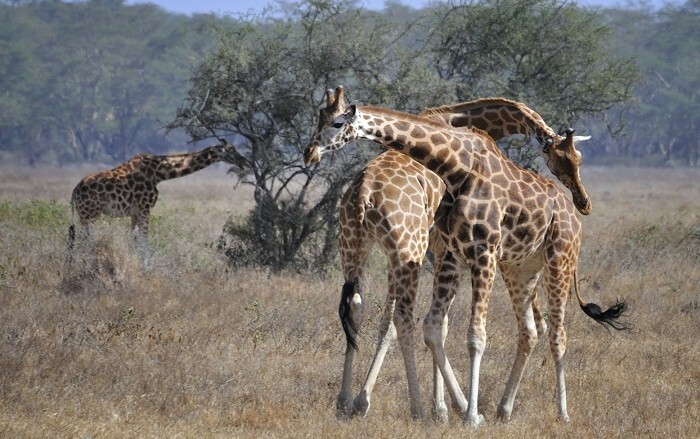 Its regarded as the jewel of Kenya’s wildlife Viewing areas. The annual wildebeest’s migration alone involves over 1.5 million animals arriving in July and departing in November. Hardly can a visitor miss to spot the big five. The phenomenal wildbeeste migration which is a spectacular event only seen in Maasai mara is the the wonder of the world. This day after breakfast, you will depart with picnic lunches and depart for a full day game viewing drive at Mara Reserve till to the point of wildebeests migration. Hopefully luck will be on your side and have the greatest opportunity of witnessing the crossing. Have your Camera ready to capture the lifetime moments. 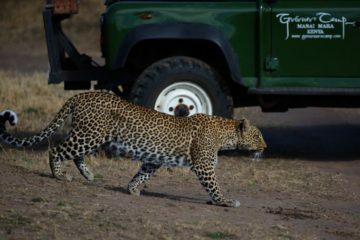 Today you will also be able to see the big 5 of the Masai Mara being the Elephants, Rhinos,Lion,Leopard and Cheetah among many more animals in the reserve. 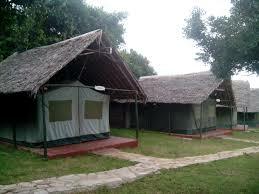 Later in evening return back to camp for your dinner and overnight at Lenchada Tourist Camp or Rhino Tourist Camp. Optional: In the evening, Visit the local Masai village for a Masai cultural tour at USD30. Learn about the Masai community and interact with the local Masai people. 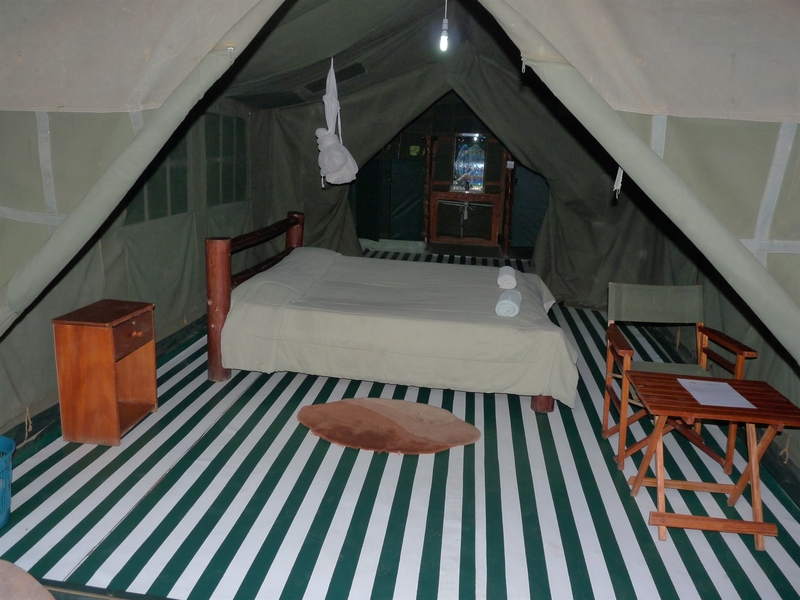 A overnight at the Masai village can be organised upon request. 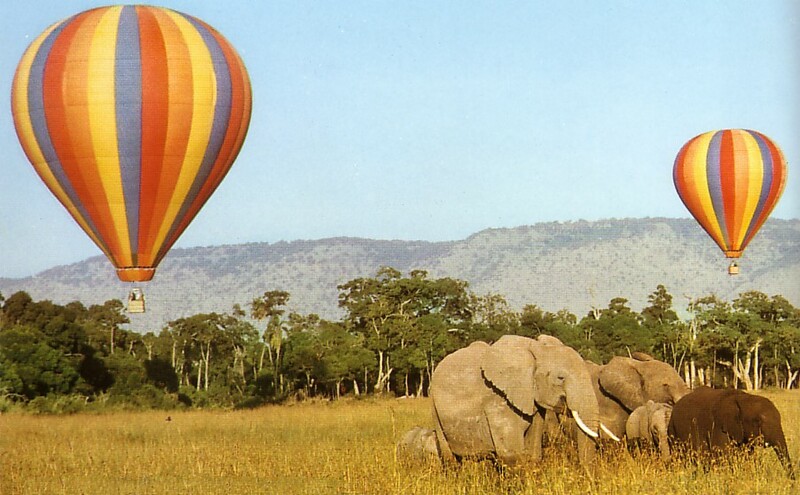 A balloon safari at USD 450 per person can can be organised early morning on this day then proceed with the normal program. It is in the Mara that perhaps the most spectacular event of the natural world takes place: the great migration. This is the annual migration of millions of wildebeest and zebra from the Serengeti (in Tanzania) in search of water and pasture. Following on their heels are the predators of the savanna – lions, cheetahs, wild dogs, jackals, hyenas and vultures. You will enjoy the last early morning game drive in Mara Reserve followed by breakfast. Thereafter commence drive back to Nairobi. On arrival you will be dropped at your Nairobi Hotel or at the airport. This marks the end of the tour and its our hope that you really enjoyed your trip.